The new Mercedes-AMG C43 Coupe with a 362 horsepower 3.0-liter V6 Biturbo engine combined with the new 9G-TRONIC automatic transmission and 4MATIC all-wheel drive, is the latest addition to the C-Class family. There are five AMG DYNAMIC SELECT transmission modes: "Eco," "Comfort," "Sport," "Sport Plus" and "Individual." 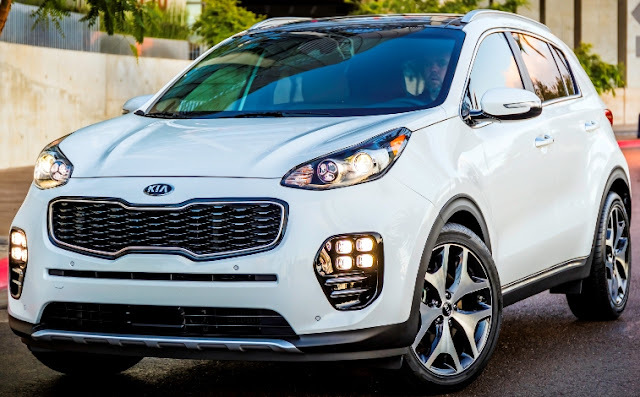 The all-new fourth-generation 2017 Kia Sportage CUV, 1.6 inches longer than the outgoing model and offered in LX, EX, and SX Turbo trim levels, with a 181 horsepower 2.4-liter GDI four cylinder engine combined with a six-speed automatic transmission, starts at $23,885 (including $895 destination charges) for the FWD LX. The 2017 Sportage LX comes standard with LED Daytime Running Lights, 17-inch alloy wheels, rear spoiler, chrome window surround, rear privacy glass, 5-inch touchscreen with Rear Camera Display, Bluetooth®, 3.5-inch LCD cluster, keyless entry system, auto-on/off dual projector headlights, and Normal, Eco, and Sport Drive Mode Select options. The fully-loaded $33,395 Sportage SX Turbo comes standard with a 240 horsepower 2.0-liter turbocharged engine. The Maserati Levante, the brand's first SUV, has an adjustable electronic suspension with controlled damping and air springs, “Q4” intelligent all-wheel drive and a specially calibrated 8-speed automatic transmission. 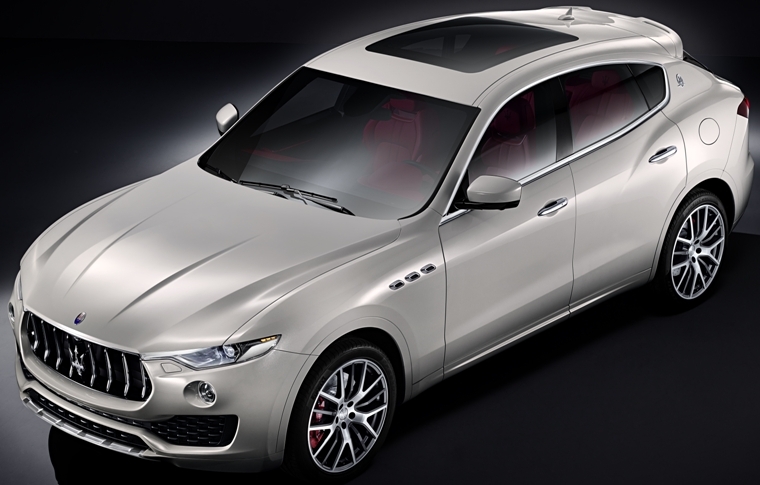 The Maserati Levante has already come off the assembly line at the Mirafiori plant in Turin, Italy, with the launch planned for this Spring in Europe, to be followed by the rest of the world later this year. The Bentley Flying Spur V8 S, with a 521 horsepower 4.0-liter twin-turbo V8 S engine, is more powerful than the 500 horsepower Flying Spur V8, has a top speed of 190 mph and a combined fuel economy of 25.9 mpg helped by variable displacement, in which four of the eight cylinders shut down when cruising, reducing fuel consumption. ‘S’ mode provides drivers with a sharp throttle response and additional engine braking from the transmission. Power is delivered via an all-wheel-drive system with a 40:60 rear-biased torque split. The aluminium double-wishbone front and trapezoidal multi-link rear self-levelling air suspension with continuous damping control provides a refined ride. The Bentley Flying Spur V8 S will start being delivered this Summer. The all-new Lexus LC 500h luxury coupe, with Lexus’ next generation hybrid powertrain, was inspired by the LF-LC concept that debuted in 2012 and will debut at the 2016 Geneva Motor Show on March 1st. It features an advanced touchless human machine interface as well as automated driving technologies. The all-new 2017 GMC Acadia, 700 pounds lighter in weight than the 2016 model and $1,905 less in price, will start at $29,995 (including $925 destination charge) for Acadia SL FWD and run up to a starting price of $47,845 for the Acadia Denali AWD. There will be a new, 2.5L engine as standard and an available 310 horsepower 3.6L V-6 engine with 4,000 pounds estimated trailering capability (with the available towing package). when it goes on sale this Spring. The 2017 Ram Power Wagon, with all-new exterior and interior design and based on the Ram 2500 Heavy Duty 4x4 Crew Cab, is powered by a 410 horsepower 6.4-liter HEMI® V-8 engine offered with the 66RFE six-speed automatic transmission connected to a part-time, manual-engagement Borg Warner BW 44-47 transfer case. Hill-descent Control allows drivers to control Power Wagon’s speed down steep, rugged grades with the buttons on the column shifter without the need for throttle or brake pedals. Power Wagon will top a lineup of off-road trucks that includes Rebel and the 4x4 Off-road Package when it goes on sale in the fourth quarter of this year. The 2017 Toyota Tacoma TRD Pro, powered by a 3.5-Liter V6 DOHC 24-valve direct-injection Atkinson-cycle engine, will have all-new factory-installed off-road equipment when it goes on sale this Fall. The Crawl Control, on automatics only, automatically modulates the throttle and brakes to regulate wheel spin on five low-speed settings for navigating across difficult terrain. Every Tacoma TRD Pro will be equipped with electronically-controlled 4WDemand part-time 4WD with a transfer case and Automatic Limited-Slip Differential, a V6 Tow Package that includes a Class-IV towing receiver hitch, ATF cooler (automatic only), engine oil cooler, power steering cooler, 130-amp alternator, 4- and 7-pin connector with convertor, and Trailer-Sway Control. As in all Tacoma models, a GoPro® mount is located on the windshield with GoPro® HERO cameras. The all-new BMW M760i xDrive with a 600 horsepower TwinPower Turbo 12-cylinder gasoline engine mated to an 8-speed Steptronic Sport Automatic transmission will join the sixth generation BMW 7 Series line-up early in 2017. The all-new 2017 Optima Plug-in Hybrid, expected to go on sale in the fourth quarter of this year, has a 2.0-liter “Nu” four-cylinder GDI engine mated to a six-speed automatic transmission, power output is targeted for a class-leading 154 hp @ 6,000 rpm. 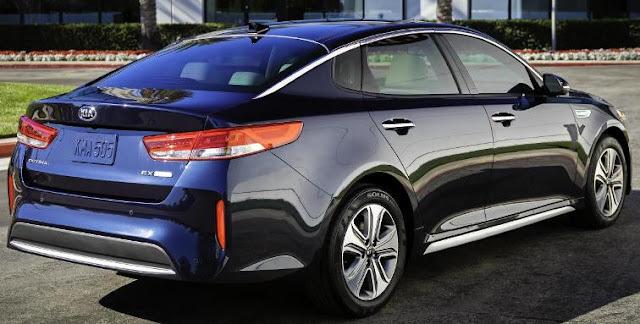 Electric power is produced by a transmission-mounted 50 kW motor, which is 42 percent more powerful than in the previous Optima Hybrid to allow for greater all-electric capability. With an estimated 600 miles of total driving range, the Optima PHEV’s next-generation battery system features a 9.8 kWh lithium-ion polymer battery pack, which produces roughly 60 percent more energy output than the battery pack found in the outgoing Optima’s hybrid system, and is estimated to achieve 27 miles in full EV mode. The all-new 2017 Niro Hybrid Utility Vehicle on a 106.3-inch wheelbase is powered by is an all-new Kappa 103 horsepower 1.6-liter GDI four-cylinder engine combined with a 43 horsepower tractive motor, known as the transmission-mounted electric device that works in tandem with the gasoline engine to produce a robust 146 horsepower and 195 lb.-ft. of torque. Bringing the whole system together is a 1.56-kWh Lithium Ion Polymer battery located underneath the rear seat. The all-new second-generation 2017 Nissan Armada, equipped with a new 390-horsepower 5.6-liter Endurance® V8 mated to a 7-speed automatic transmission, is 1.2 inches longer on a 2.1-inch shorter wheelbase than the outgoing model and comes in SV, SL and Platinum trims in both 2-wheel and 4-wheel drive configurations. The Armada offers a 3rd row seat power-folding feature standard on SL and Platinum grades. Armada Platinum models are also available with optional 2nd row Captain’s Chairs with removable 2nd row console (resulting in 7-passenger seating capacity). Available safety and security features include Predictive Forward Collision Warning, Blind Spot Intervention, Backup Collision Intervention and Around View® Monitor with Moving Object Detection. The new generation of Nissan’s flagship SUV is due to arrive this summer. Toyota's Scion brand, which launched in 2003 targeting young customers, will disappear and the FR-S sports car, iA sedan and iM 5-door hatchback will become part of Toyota beginning this August with model year 2017 Scion vehicles re-badged as Toyotas. The C-HR, (pictured above) which debuted at the L.A. Auto Show will be a part of the Toyota line-up. Scion service and repair will be handled by Toyota dealerships’ service departments. The 1,004 Scion dealers will be affected and Scion’s 22 employees at headquarters "will have the opportunity to take on new jobs at Toyota Motor Sales, U.S.A., Inc. in Torrance. Scion regional representatives will assume different responsibilities in their respective Toyota sales offices." With more than a million cars sold, 70 percent of Scions were purchased by customers new to Toyota and 50 percent were under 35 years old. Scion buyers average age is 36 years old and at 29, the tC sports coupe has the lowest-average age buyer in the industry, according to Toyota. Seventy percent of the iA sedan and iM 5-door hatchback purchasers are first-time new car buyers and more than 50 percent of iM and iA buyers are under 35 years old. General Motors’ Chevrolet, Buick, GMC and Cadillac dealers in the United States delivered 203,745 vehicles in January 2016, the company’s best January sales performance in eight years. GM’s retail sales were up 9 percent year over year on a 12 percent increase at Chevrolet and a 45 percent increase at Buick. Total sales were up 0.5 percent. Ford Motor Company’s total U.S. sales of 173,723 vehicles declined 3 percent last month versus a year ago. Lincoln brand sales of 7,177 vehicles increased 8 percent, for the best start of the year since 2008. Toyota Motor Sales, U.S.A., reported January 2016 sales were 161,283, a decrease of 4.7 percent from January 2015 on a volume basis. Toyota division January 2016 sales were 140,350, down 3.9 percent. 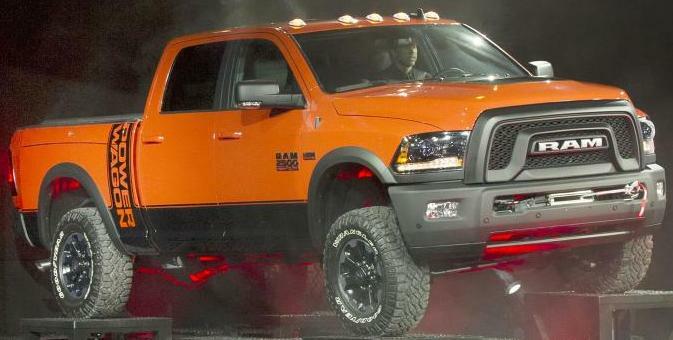 FCA US (Chrysler, Dodge, Ram, Jeep, Fiat, Alfa Romeo) reported U.S. sales of 155,037, a 7 percent increase compared with sales in January 2015 for the group’s best January sales in nine years. Nissan Group announced total U.S. sales for January 2016 of 105,734, an increase of 2 percent over the prior year and a January record. Nissan Division finished January with 97,220 sales, up 3 percent and also a January record. Infiniti sales of 8,514 was an 11.8 percent drop from a year ago. American Honda reported January sales of 100,497 Honda and Acura vehicles, a decrease of 1.7 percent. Honda Division set a new January record with 90,247, while Acura sales totaled 10,250. Hyundai Motor America reported its best January in company history, selling 45,011 vehicles, up one percent versus the same period last year. Subaru of America reported 41,101 vehicle sales for January 2016, a one percent increase over January 2015. Kia Motors America recorded best-ever January sales of 38,305 vehicles, 6 more vehicles than a year ago. Volkswagen of America reported sales of 20,079, a drop of 14.6 percent from January 2015. Separately, Audi of America reported January 2016 sales of 11,850 vehicles, a 2.7 percent increase for a 61st consecutive monthly record. Mercedes-Benz USA reported record January sales of 24,664, topping last January's record volume of 24,619 units sold. Adding 1,899 for Vans and 399 for smart, MBUSA achieved its highest January to date with a grand total of 26,962 vehicles, up 1.3 percent from a year ago. The BMW Group in the U.S. (BMW and MINI combined) reported January sales of 21,320 vehicles, a decrease of 4.0 percent from the same month a year ago. Sales of BMW brand vehicle sales of 18,082 decreased 4.7 percent in January compared to January 2015. Mazda North American Operations reported January U.S. sales of 19,703 vehicles, representing a decrease of 2.8 percent versus last year. Jaguar Land Rover North America January U.S. sales for both brands hit 7,007, a 7 percent increase from January 2015. Land Rover sales reached 5,655, a 7 percent increase and Jaguar sales were 1,352, a 7 percent increase from January 2015. Mitsubishi Motors North America total January 2016 sales were 6,264, down 3.5 percent year-over-year. Porsche Cars North America announced January 2016 sales of 4,354 vehicles, up 10.6 percent over January 2015 for a record-setting January. Volvo Car USA reported U.S. sales of 4,244, an 11.9 percent increase versus January 2015.